What does survival mean to you? 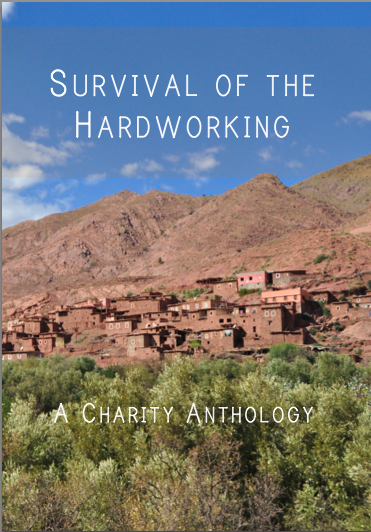 This charity anthology will take you on a journey through the lives of many to find out. Written by muslim writers from mexico to nigeria, survival of the hardworking will change how you see the world. All proceeds go to humanitarian causes in Syria and refugees in surrounding countries. Poets and writers [...] take the reader for a walk through the lives of Muslims with touching glimpses into themselves and beautiful imagery that makes one reflect." This anthology of 19 poems and short stories explores the concept of survival from a refreshing variety of perspectives, whether it's aiming for fortune only to look back with nostalgia, protecting those we love, being the best people we can be or the daily toil just to stay alive! Like us on Facebook to discuss the anthology and keep up with news about literature, writing opportunities, Muslim writers and more. We would love to hear from you, whether it's a question or a comment about your experience with book. We look forward to reading your message.